We are relaunching our Sunday swim program on February 10. The program is scheduled to run for 6 months through the end of July in which we will re-survey the group to see if there is enough interest to continue into the Fall. 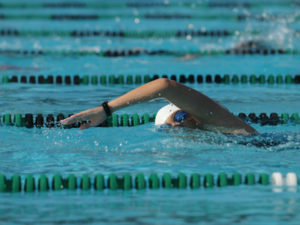 PacWest has been swimming at the Tamalpais High School in Mill Valley since the completion of its remodel back in 2010. Each workout will have a PacWest coach on deck implementing a full 90 minute workout. The coach will proactively work with individual athletes critiquing form and technique or simply give you a “little push” where and when needed. Short group rides and/or long group runs available after each workout. Workouts will consist of three different skill levels: beginner/novice, intermediate and advanced. In order to consistently weekly coached workouts, we’ve implemented a monthly subscription program. The cost breaks down to roughly $10/workout. A minimum 4 month commitment is required. Drop-ins are welcome but athletes must pre-pay for workouts.